GOOD NEWS, EVERYONE! Er, wrong show. W-w-w-whoa, Morty. Rick and Morty is coming to virtual reality by way of the HTC Vive. 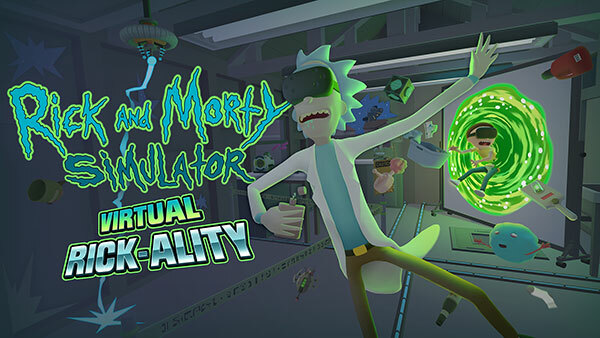 Beyond that, there’s… not a whole lot to know, just yet, except that it’s called “Rick and Morty Simulator: Virtual Rick-ality” and is being built by Owlchemy — the same folks who made the silly but oh-so-wonderful Job Simulator for Vive. The company says they’ll be showing the game off at San Diego Comic Con in July — alas, no word on a release beyond that, just yet. Will Mr. Meeseeks be there to help me along the way? Will we be able to go into a simulation within a simulation within a simulation? We’ll hopefully find out soon.